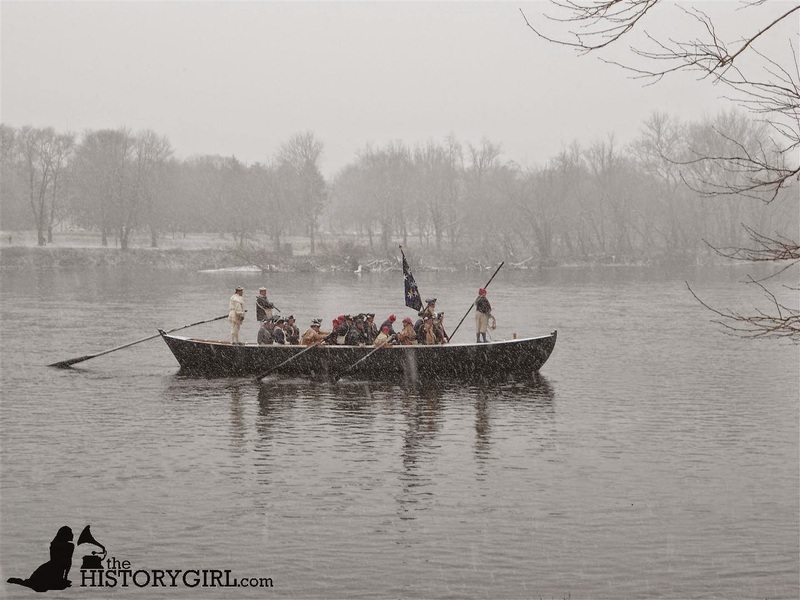 Washington Crossing Historic Park (PA) Recruiting Rowers for December Crossing Reenactments - August 2, 2016 ~ The History Girl! Washington Crossing Historic Park in Pennsylvania is seeking rowers and boat crew members for its annual reenactments of George Washington’s crossing of the Delaware River in December. Interested men and women can find out more at an informational meeting on Tuesday, August 2, from 7:00 - 8:00 pm at the Continental Tavern, located at 2 North Main Street in Yardley, Pennsylvania. Current crew members will explain the requirements and obligations of rowing during the annual December programs and detail safety precautions, including an upcoming boat drill scheduled for Sunday, August 21, at Core Creek Park in Langhorne. Two reenactments are scheduled for this year. The first will be held Sunday, December 11, from 10:00 am - 4:00 pm, and the 64th annual Christmas Day crossing will take place from 12:00 noon - 3:00 pm on December 25 (actual crossing at 1:00 pm on both days). Washington Crossing Park is located at the intersection of Routes 32 and 532. To stay up-to-date on what is happening in Washington Crossing Historic Park, visit www.washingtoncrossingpark.org. While there, sign up for the park’s monthly e-newsletter.